It wouldn't be Halloween without a Black Bat Button Badge. Bats are spooky and creep people out so they make the ideal addition to your Halloween Costume. 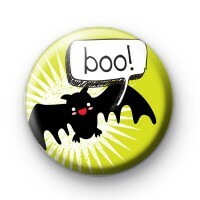 A bat pin badge will be ideal for Halloween gift bags and spooky keepsakes. Make sure you check out our other Halloween badges too.